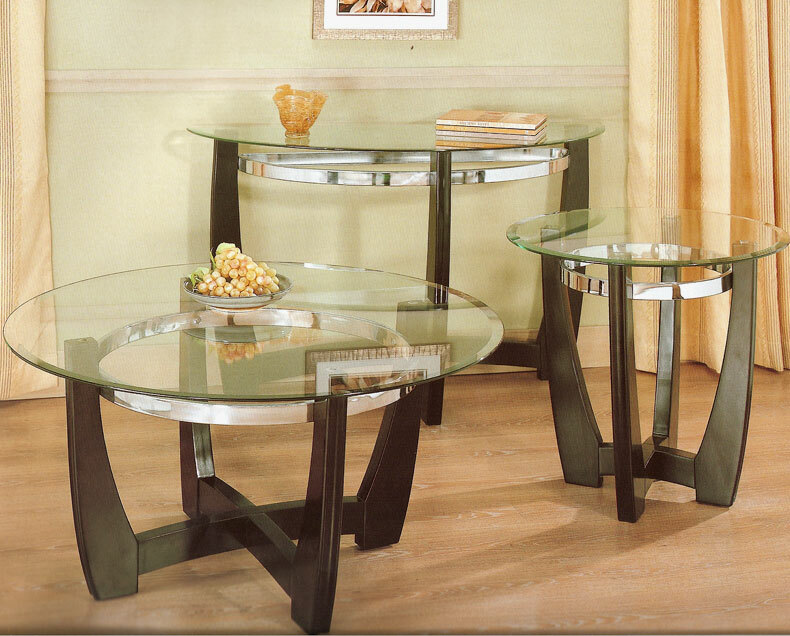 The Coffee Table 5550 is sleek contemporary design featuring ebony finish hardwood table base, metal chrome ring, and beveled glass top. IN STOCK. Lead time is 1-2 weeks. Art Deco Luxury style set. Satin Metal. In stock.